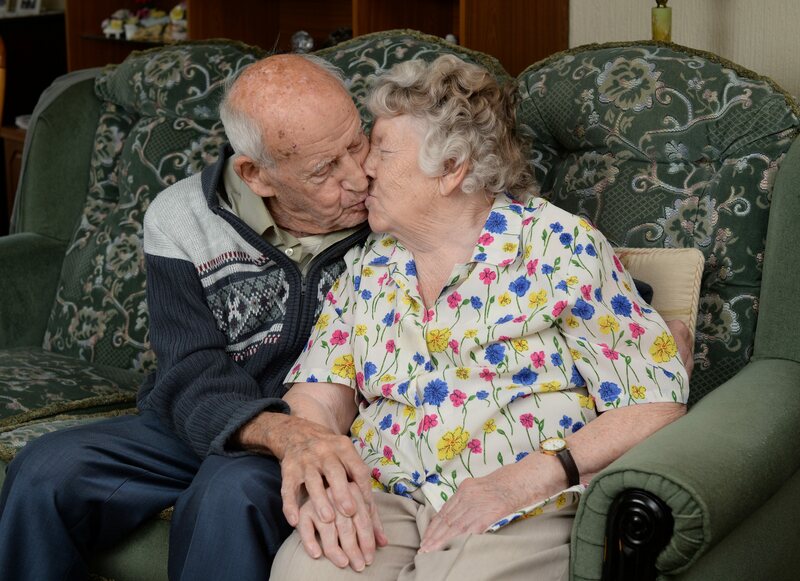 A love-struck soldier who survived the hell of Dunkirk with a picture of his new bride in his pocket has just celebrated 75-years of marriage. Brave Norman Johnson swam through the waters to the safety of a boat with a snap of sweetheart Joyce wrapped in a £100,000 Deutsche Mark for protection. The devoted pair have now marked their diamond wedding anniversary – and Norman still has the photo complete with a salt stain from the sea and the banknote. 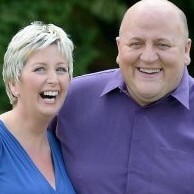 The couple, from Sheffield, South Yorks., lived in the same area growing up and met in their early teenage years. Joyce said: “I took a fancy to him. He was going to night school so I decided to go as well and do dressmaking. Norman, 97, was conscripted into the army during the Second World War. He travelled to France and was safely evacuated from the beach at Dunkirk. A hasty wedding was organised when Norman was given leave and was celebrated in a local pub. Joyce recalled: “We got married when he was on 48-hour leave. wedding breakfast was cheese and onion sandwiches. Norman said the secret to a long and happy marriage was ‘being easy going with each other’. After the war, Norman went to work for the English Steel Corporation and Joyce worked doing laundry. They had two children Sue and Carol. Joyce said: “I had three sisters and we moved just down the road. The couple have seven grandchildren and 10 great grandchildren, who joined them to celebrate their big day with them.